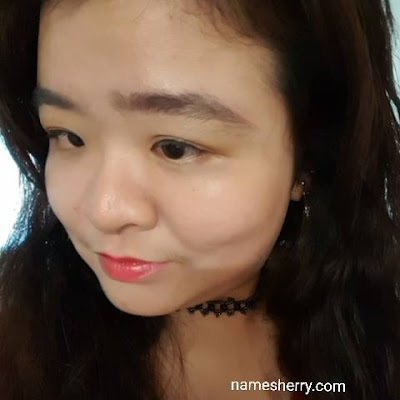 After 30 days of using the REALASH cosmetics, if you haven't read about my unboxing of the REALASH cosmetics box you can click on the link to read about it. I didn't forget to bring along the REALASH cosmetics to media trip, I brought them along while I was in Johor Bharu for the media trip. 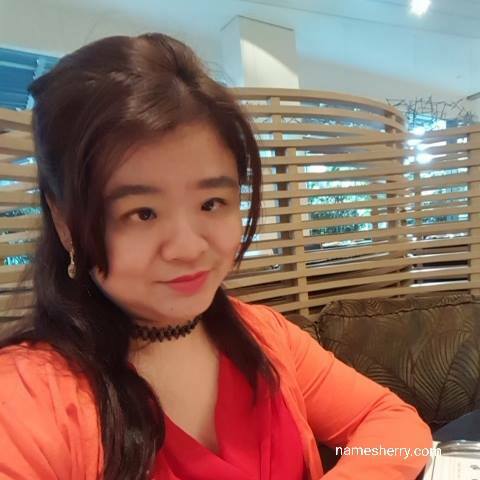 Beauty cosmetics that I am using are REALASH eyelash enhancer and BROW for brow conditioner. The day BEFORE I start using the REALASH cosmetics, my eyebrows you can see on the left is lesser the right. My eyelashes sometimes have fallen out before using the REALASH eyelash enhancer. I didn't have this problem after using it. I have sensitives eyes and these products didn't irritate my skin. The BROW - brow conditioner has the advanced formula stimulates the natural growth of brows. After using it for 30days my brows are thicker and fuller. The bottle of 4ml BROW can lasts up to 8 - 12 weeks. 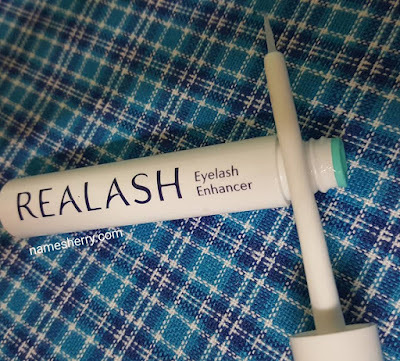 Applying REALASH Eyelash Enhancer, once a night on upper eyelid at the root of eyelashes. 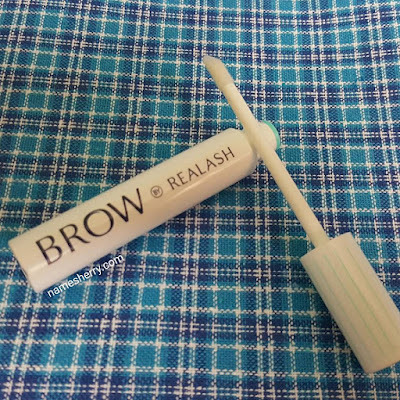 Applying BROW REALASH - brow conditioner for eyebrow once a night for eyebrows. 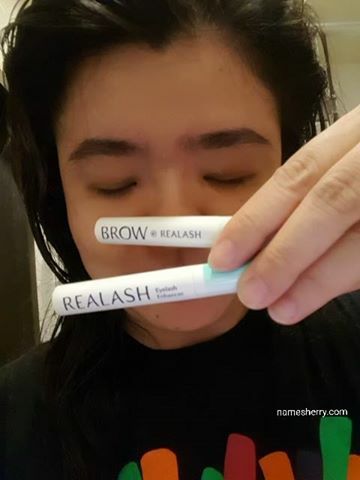 AFTER using the REALASH cosmetics a month, you can see above photo for the eyebrow. Love my fuller lashes after 30 days of using it, you can refer to above photo. Photo above taken without any makeup on. I saw some slight grow of my eyelashes. Photo below shows the eyelashes after I have applied the mascara. I also have applied eyeliner on my upper eyelid. After application of mascara on the eyelashes. Even though it is after 30days of using it, I am still continue to use them. The special formula and easy to use applicator brush of REALASH eye enhancer is 3ml serum is enough for 4 to 5 months treatment. Simple and easy to use, just one stroke on the roots of upper eyelid lashes. Applied them in the night before bed time, make sure the eyelashes are clean without any makeup. Every product has their shelf life, the product is best before 6 months after it has been opened for the first time. REALASH eyelash enhancer is 3ml, while BROW -brow conditioner is 4ml. With Internet access today we can shop easily online. REALASH brand products are not tested on animals. I am happy with the results of REALASH cosmetics given after 30 days of using them. wahhhh! so practical! even have to wait for a month, I guess it was worth it! Hi Sally, sorry for late reply. Yeah its practical and worth it.